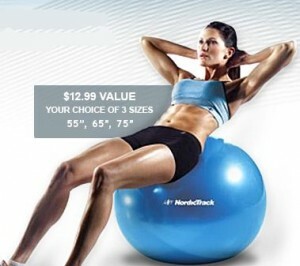 Register with FitStudio and get a FREE exercise stability ball, a $12.99 value! You'll get a printable coupon to bring to your local Sears to redeem. FitStudio is a Sears brand and is legit.